Some call it ‘food tour‘, the others label it as a ‘food trip‘. 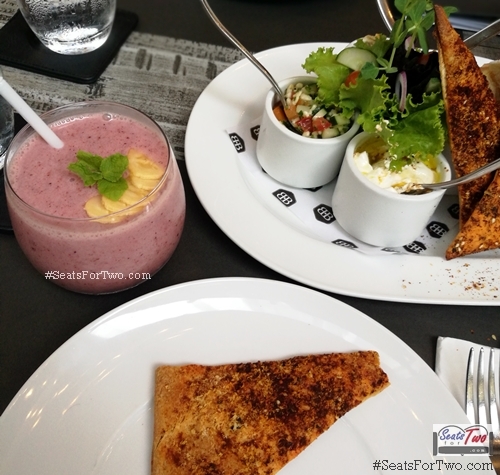 But whether you call it such, a “food trail“, or any other names, Seats For Two love joining such activities and going around restaurants in a quick one-day sweep. 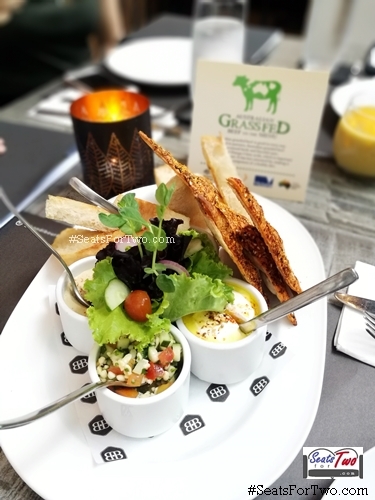 Upon the invitation of Australian Embassy of Manila, we recently joined an intimate food trip with their team visiting a number of restaurants highlighting dishes made with grass-fed beef from Australia! In a gist, we went to 4 restaurants, consuming about 15 dishes, for 8 hours straight in between van hops around Makati City and Bonifacio Global City of Taguig.! 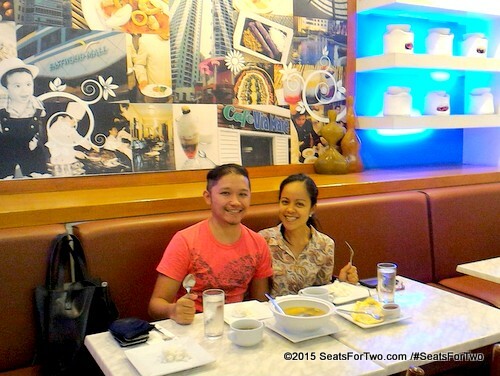 We had a good start in time for lunch at Cafe 1228 in New World Hotel Makati. It’s a deluxe hotel in the central business district of Makati offering modern Oriental hospitality primarily for business & leisure travelers. We were greeted with a 4-course meal with an Australian Grass-fed Beef Shank as the main course. 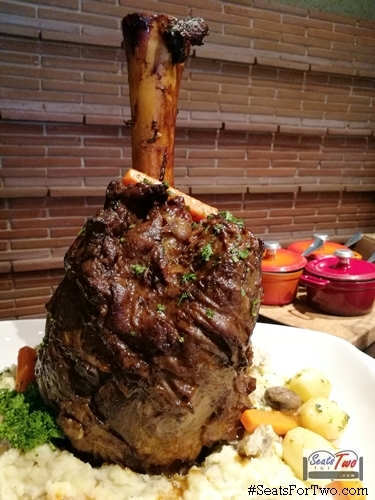 It was a very good beef shank that is both tender and flavorful. We were not that surprised actually, as we had high expectations from the hotel. 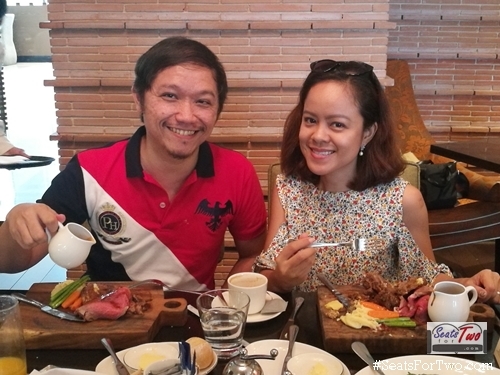 New World Hotel Makati is one of the good ones when it comes to serving exemplary hotel food. We haven’t had our staycation here though, so we have no say so far in terms of accommodations. 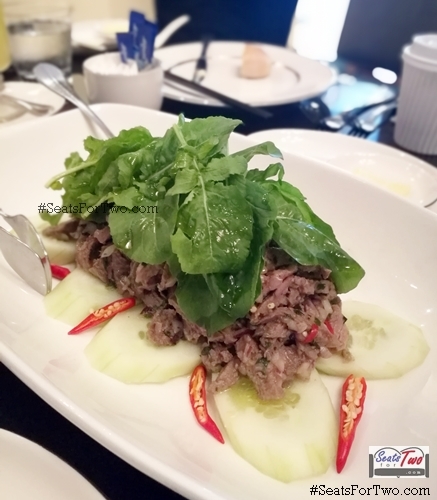 They also served a delicious ramen with Australian beef, spicy Thai beef salad and traditional beef tartare which was also a crowd favorite. 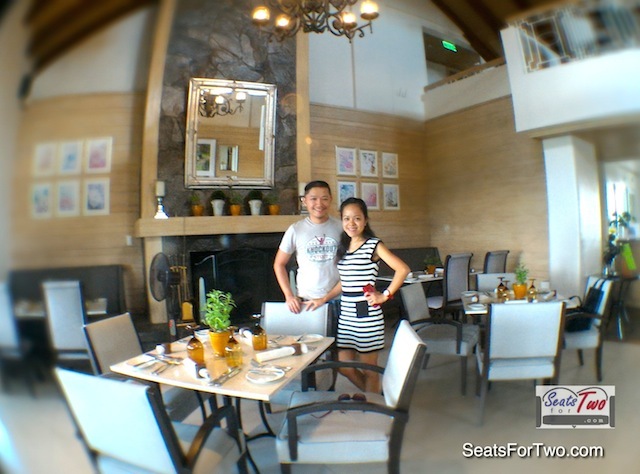 Our second stop was Prime 101 restaurant along Chino Roces avenue, still in Makati. The restaurant is well known for their steak and offers customized service upon request. One of the steak variants they do offer include the Autsralian Grassfed Beef. 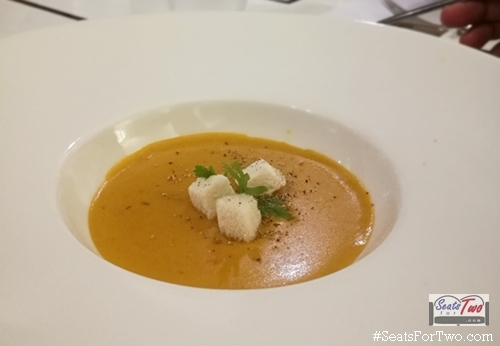 We had pumpkin soup and some greens for starters. 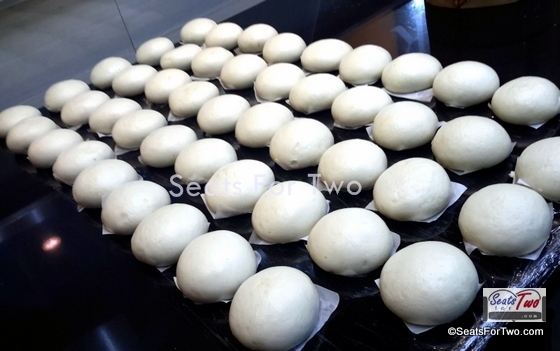 But it was the Baked Portabello Mushroom Siopao which was star of the table. 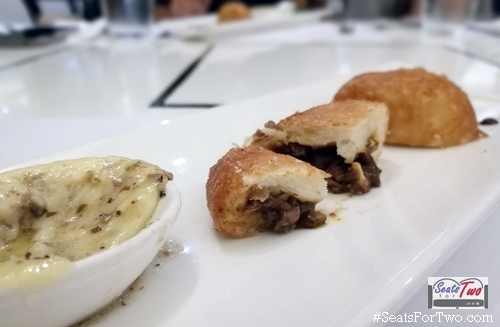 Although “siopao” is an ordinary oriental fare in the Filipino food scene, Prime 101 elevated its status by using Australian Grass-fed Beef as the meat. Baking it gave an external crisp which made it even more interesting. It’s definitely a must-try! And so we did, we had platefuls of bread & dips, and a generous rib eye fare from Bondi & Bourke’s! It’s good that we’re a group of about 8 people so were able to manage. 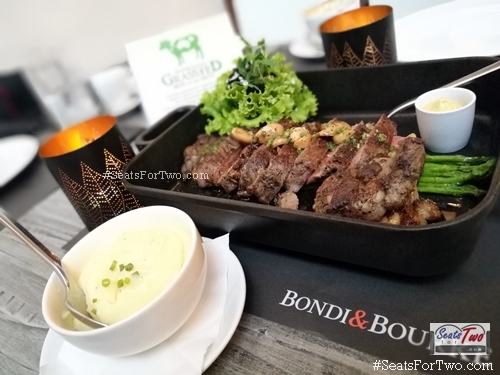 Located in Burgos Circle of Bonifacio Global City (BGC), Bondi&Bourke offers modern Australian dining experience by award-winning chef, Wade Watson who crafted a bespoke menu featuring some of Australia’s favorite dishes. 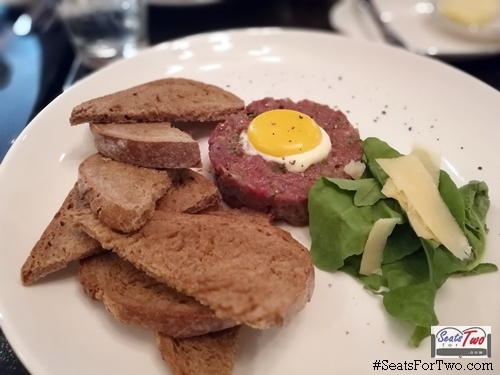 Our appetizer were 2 platefuls of bread and an assortment or tasty dips while the main fare was the Australian Prime Ribeye. The Bondi & Bourke Australian Prime Ribeye Spencer Roll 1824 in 600g definitely appeals to the slab carnivores. Tender and juicy, it comes with a side of creamy mash, asparagus, and salad greens. Pink’s Manila @ Shangri-La The Fort. It’s almost dark, and that means it’s dinner time! The last but not the least among our foodie destinations was the California vintage-inspired hotdog joint offering western comfort food such as mouth-watering burgers, fries, hotdogs, ice cream, and more! 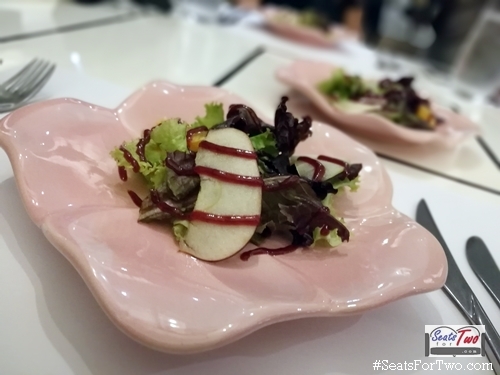 It’s Pink’s Manila at Shangri-La The Fort. Before eating, we got to briefly tour the cozy restaurant. Entering a doorway revealed to us “The Bar” which is completely a different world from what you see of Pink’s from the street. It’s somewhat a ‘secret’ bar of sorts that caters to the late-night drinking cliques. Moving deeper into the establishment and passing by the comfort room is a smaller ‘bat cave’ of the bar which can fit about 8 people for a more intimate drinking session among group of friends. It was an experience. So say hello to the ultimate wester world comfort food – fries and burgers! But with a twist because the beef patties are not from the west but from way ‘down under’ – Austalian Grassfed Beef! We’re definitely going back at Pink’s to try their hotdogs and ice cream next! 8 Cuts (9 branches), Abuela’s, Blackbird, Bondi & Bourke (2 branches), Carpaccio Ristorante Italiano, Chef Jessie at the Grove, Chef Jessie Rockwell Club, Chef Jessie Top of the Citi, Chesa Bianca Swiss Restaurant, City of Dreams: Red Ginger City of Dreams: Crystal Dragon, Dean & Deluca, Discovery Primea: 1824, Discovery Primea: Flame, Discovery Primea: Gilarmi Lounge, Discovery Suites: 22 Prime, Downtown & Halsted, Epicurious, Green Pastures (3 branches), Hyatt City of Dreams: The Cafe, New World Manila Bay: The Fireplace, Papa Diddi’s (2 branches), People’s Palace, Pink’s, Prime 101, Prime 22, Sala, Sala Bistro, Shangri-La The Fort: Raging Bull, Smith & Butcher Grill Room, The True Grill, The Wholesome Table, Vask Tapas Room, Wildflour Cafe + Bakery. 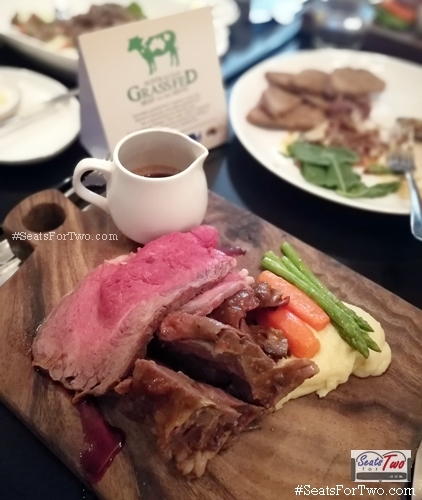 Know more about the Australian Grassfed Beef on the Menu promotion, follow “Australia in the Philippines” on Facebook, @AusAmbPH on twitter, or check out their hashtag on social media #TrueAussieBeefPH. Thank you to the Australian Embassy! 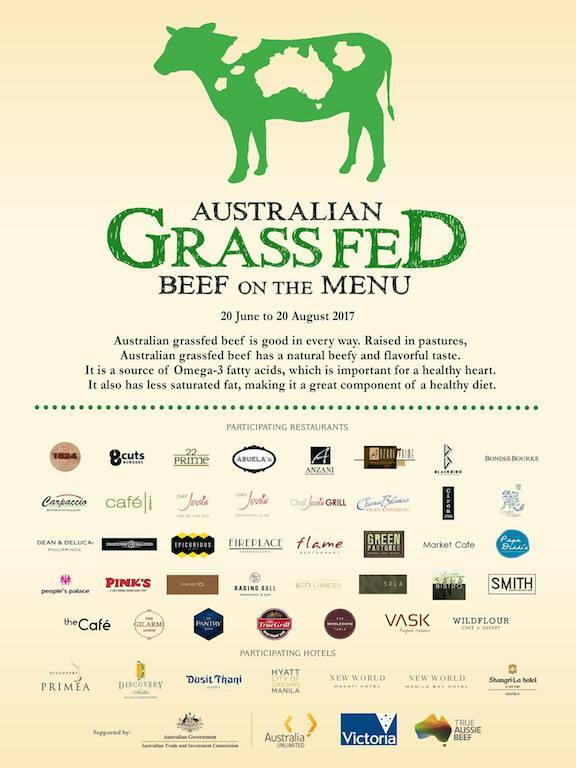 Enjoy the heart-health benefits of lower-fat beef from the Australian Grassfed Beef dishes of the 36 restaurants!